This wasn’t as straightforward as I expected. Here are the steps I took to get it up and running. First, grab the latest version of VirtualBox. If you have an older version installed, you can just install the new one using the downloadable installer and it will overwrite the previous version. Next, grab the latest version of Vagrant. Again, you can just run the installer to overwrite any previously installed version with the latest one. NOTE: I found that on one of my machines I had trouble with this command. It appears that for some systems the version of curl that ships with Vagrant doesn’t work. Follow the instructions on this thread to figure out how to replace it with one that works! Alternatively, if you’d like to install other versions of Node (like the current, non-LTS version) you can find the instructions on the NodeSource website. Ubuntu 16.04 comes with Python3 installed but apparently, npm uses the node-gyp package which needs Python2.7. Assuming everything went smoothly, you can test to make sure that Strongloop was installed by typing slc -v at the console. It should print out the version of Strongloop/API Connect that is installed. There are a couple more things you may want to do if you’re setting this up as part of your dev environment. I like to create a domain name, e.g. my.supercoolapi.com, and associate it with the IP address I set up in the “private network” setting in the Vagrantfile. That way, I can test out the API in a web browser just by typing in the domain name. The domain name you choose is not the same as an actual website that you actually visit, e.g. google.com, because you won’t be able to get to that site anymore. To do this, I had to run mkdir api in the same directory as my Vagrantfile before reloading my virtual machine. 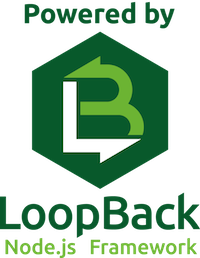 It also meant that when I generated my loopback API on the VM (using slc loopback), I needed to do so from the home folder and using the directory name api. Then restart Mongo from the command line with sudo service mongod restart and you should be able to connect. After you’ve generated your loopback API app, you can go to ~/api/server/config.json and change the port number to 80. In order to start up the server you’ll have to use sudo, so from the root of your API (i.e. ~/api) run sudo node .. I encountered an error when following your tutorial during the ‘npm install -g strongloop’ step. The error was about a read-only filesystem, and the solution was to stop/destroy the vagrant machine I had previously made, install VirtualBox Extension Pack, and then follow the steps to create/init the vagrant box and re-install everything. Just for reference, I’m running Linux Mint 18 (Debian-based, so I assume the logic is the same for Ubuntu hosts).